Apparently free agent wide receiver Jeremy Maclin’s visit with the Buffalo Bills went well on Tuesday. His visit with the Bills continues on Wednesday. 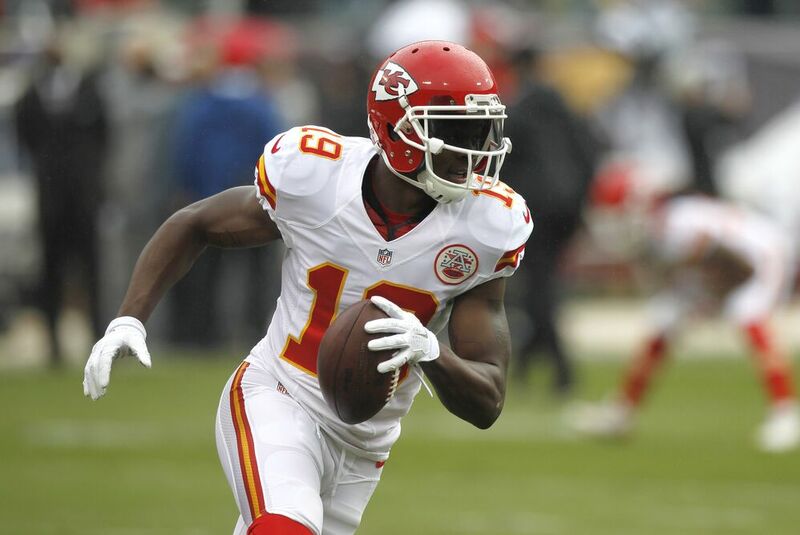 The Kansas City Chiefs surprisingly moved on from veteran wide receiver Jeremy Maclin on Friday evening. He had spent the last two years playing for Andy Reid in Kansas City. Now Maclin finds himself on the verge of joining his third NFL team in nine seasons. The first team that Maclin visited was the Buffalo Bills. Many of Maclin’s former co-workers with the Philadelphia Eagles now work in Orchard Park, most notable running back LeSean McCoy and new Bills head coach Sean McDermott. Apparently Maclin’s visit with the Bills organization went so well on Tuesday that he’ll stick around Western New York on Wednesday. Buffalo News’ Vic Carrucci reports that McCoy has let the world know on social media that Maclin will spend a second day in Orchard Park visiting with the Bills. As LeSean McCoy shared via his Instagram account & team source confirms, WR Jeremy Maclin’s visit w the #Bills stretches into Day Two. This should be fantastic news for the Bills and dreadful news for the other team that wants him: the Baltimore Ravens. Both clubs are middle of the pack in the AFC and desperately need depth at the wide receiver position. Maclin could be a viable No. 2 or No. 3 wide receiver for a playoff caliber team, something Baltimore and Buffalo see themselves as. Should Maclin join the Bills, he’d join one of the better Bills offenses in recent memory. The offensive line is solid, as the running game of McCoy and mobile quarterback Tyrod Taylor makes the Bills at least a fun watch offensively. Add in that Taylor is the most competent quarterback the Bills have had since Jim Kelly was thriving in the K-Gun for then head coach Marv Levy, could this be the year Buffalo finally gets back into the AFC Playoffs? Well, Maclin would need to sign with the Bills and No. 1 wideout Sammy Watkins has to stay healthy for once. Playing in the same AFC East with the New England Patriots and the Miami Dolphins won’t be easy, but Buffalo should hover around .500 next season. Maybe Maclin helps the Bills get over the top?